Previously on The Four… catch up with episode 28 recap! Uncle calls ASG and Zhu Ge both to his residence to “talk about cases,” except not really. Upon arrival, Zhu Ge and ASG exchange a few words of mutual dislike and uncle dismisses them because he needs to attend to other stuff. What? Didn’t he call them here? #confused. In any case, ASG throws down some threats about playing with fire before Zhu Ge takes off. Meanwhile, Tie Shou takes Yi Yi to see a doctor, but she insists that she will go in herself. Tie Shou is unsure that’s such a good idea so she suggests that people will think they got pregnant or something if they go in together, so Tie Shou relents. 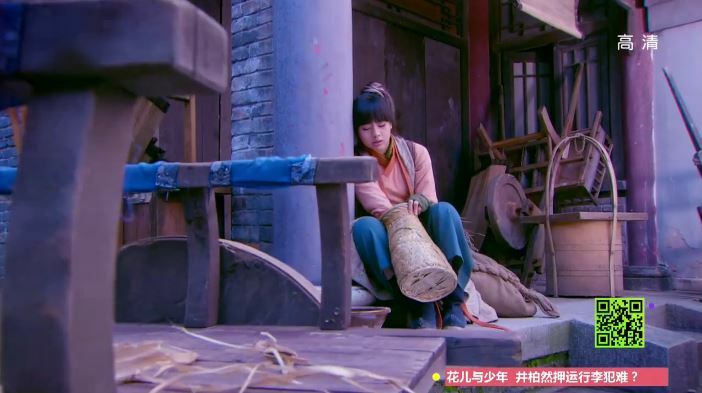 Once Tie Shou leaves, Yi Yi hides in a corner and soaks in the poison. Looks like she isn’t going to kick the habit any time soon. I still don’t know why this whole poison thing is “bad” though. It’s not like she’s using it to kill people or something. Elsewhere, things aren’t going too well as tragedy strikes at Qing Ge tribe. Remember how someone was going to put poison on Mo Er Chi’s robe? Well, the poison apparently sets people on fire – it’s some sort of bug oil. So instead of waiting to be killed, Mo Er Chi puts the oil on his brothers’ robes which effectively eliminates them, including his baby brother who is still a child. Then, his dad dies due to “grief” and there stands no one in his way. To be honest though, Mo Er Chi’s enthronement is like right around the corner, did he really need to do all this? And I thought Qing Ge tribe was supposed to be peace loving? So much for paradise! Li Mo confronts Mo Er Chi about this and Mu Xue overhears. 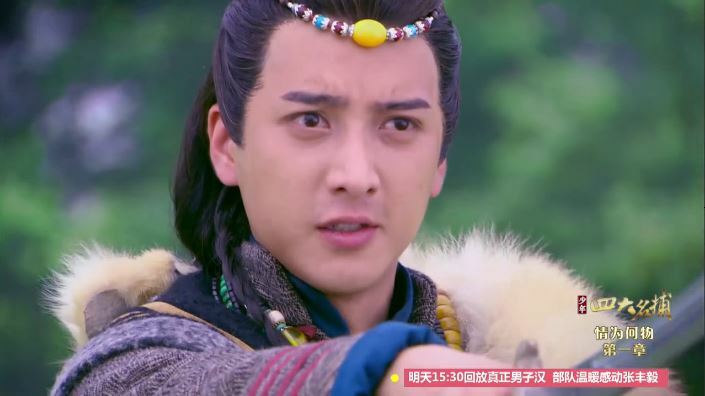 Seeing how he can’t deny it any longer, he reveals his true self and starts to rant about how Qing Ge tribe’s survival tactic is to annihilate all enemies. Wait, I thought it was about harmony and storing large amounts of rice? Have I mistaken? is that guy crying or smiling? Mo Er Chi locks Li Mo up and threatens to kill her if she does not agree to being his Queen. He also tells her that he has already sent someone to “take care” of Wu Qing. After he leaves, Mu Xue breaks the lock of a backdoor and rescues Li Mo. Together they save Wu Qing from his doom (Mu Xue uses her princess power to access his room and bring him out) and they ride away. Yay success! Except…not really. Mo Er Chi and his men quickly catch up to the trio. 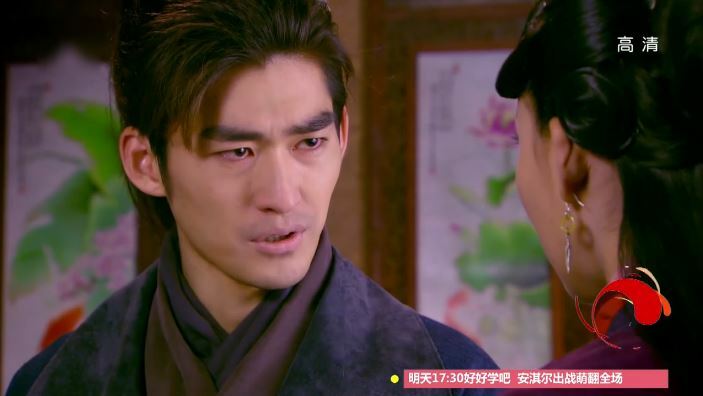 Mo Er Chi gives a spiel about how he will no longer consider Mu Xue his sister because she betrayed him. I mean seriously dude, who betrayed whom? And plus I don’t think she wants to be your sister anymore after what you’ve done. Haven’t had enough? Click for episode 30 recap! The Princess gets mad jealous when she sees Zhui Ming pretending to be close to two dancers. 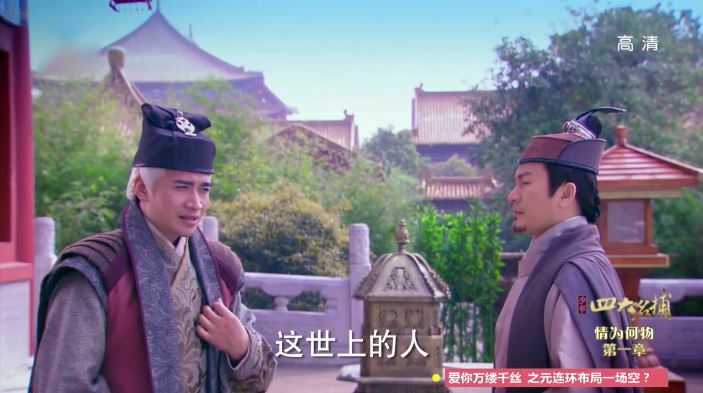 The Princess brings the son of some official (cameo by Huang Ming) out to lunch and bump into Tie Shou and Zhui Ming. 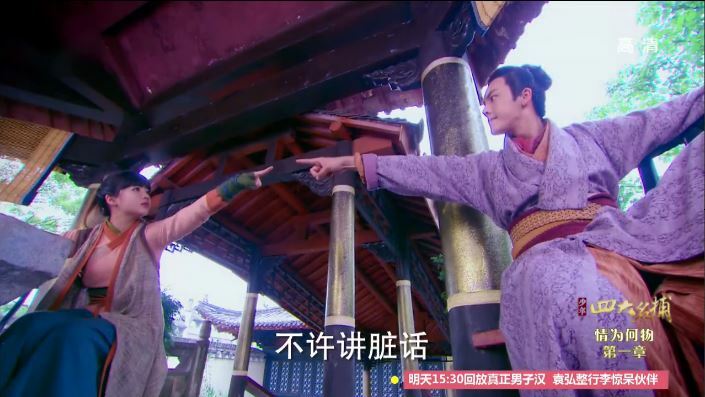 Zhui Ming spots the guy holding the Princess’ hand and dashes over to break them up. Jiao Nian tries to get the Princess to understand why Zhui Ming was upset with her and how they actually care for each other, but alas it all falls on deaf ears. Yi Yi keeps on mentioning the Princess to annoy Zhui Ming. This is her attempting to pay Zhui Ming back for not allowing Tie Shou to buy her a birthday gift. Girl, that was a while ago, let it go! Leng Xue is still mad weak. Not much progress there. I know right he deserves so much better than hat bratty princess.